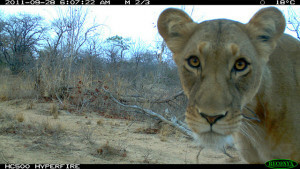 Lion’s image captured with a camera trap. Why so serious, Ms. Lion?